Could Plastic Parts One Day be Biodegradable? | Bridgville Plastics Inc.
Plastics play an incredibly vital role in the world today. While it wouldn’t necessarily be impossible for human beings to live without plastic, it would be difficult to do. Plastics can be used to make everything from medical supplies to automobile parts, and they have helped spawn many new inventions over the years. The problem with plastic, though, is that it’s not biodegradable. So if people choose to throw plastic out with the regular trash rather than recycling it, it ends up sitting in a landfill for years and years to come without breaking down. It’s one of the biggest drawbacks of using plastic. Fortunately, a group of MIT chemists may have found a solution for this problem. According to MIT, the chemists were recently able to determine the structure of a bacterial enzyme that might be able to help them create a biodegradable plastic. Chemical engineers will need to tweak the enzyme slightly in order to make it useful to those companies that produce plastic parts, but the hope is that, one day soon, the world might be able to use biodegradable plastics instead of regular plastics, which would limit waste greatly and be better for the planet as a whole. The enzyme in question, which has been identified as polyhydroxyalkanoate synthase, can be found in most bacteria. Bacteria rely on it to produce polymers that can store carbon whenever food has become scarce. In addition, this enzyme might be the key to biodegradable plastics. While studies are still being done on the enzyme, biotechnology companies are already showing an interest in using it to create plastics that could compete with conventional types of plastic in the near future. 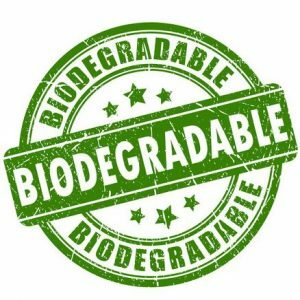 Bridgville Plastics, Inc. is looking forward to the day when plastics will be biodegradable. For now, we strive to create the best plastic parts on the market and try to make them as durable as possible so they won’t have to be discarded anytime soon. For more information on the molded and custom plastics we can offer to you, call us at 269-465-6516 today.